I hope you guys had a wonderful weekend and Easter! Welcome to another Paint It Monday! 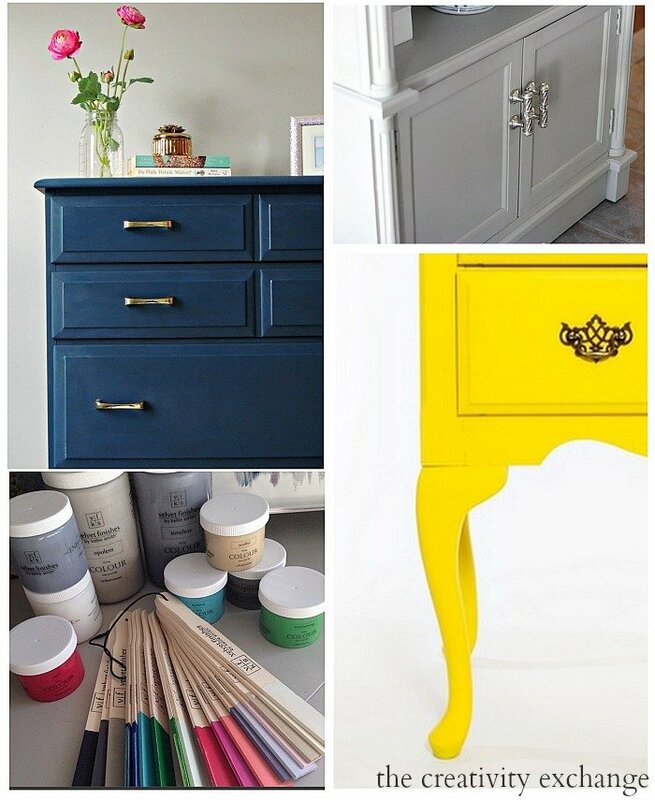 Today, I thought I would answer some of the questions that I have been receiving and also share a round-up of Velvet Finishes projects from readers, other bloggers and Kellie Smith herself to give you a better idea of the paint that I have fallen in love with. Ever since Kellie sent me all of the Velvet Finishes colors to try out, I have been painting almost everything I can get my hands on (furniture, lamps, baskets, frames, etc..). The paint has a higher pigmentation, which makes this paint extraordinary. 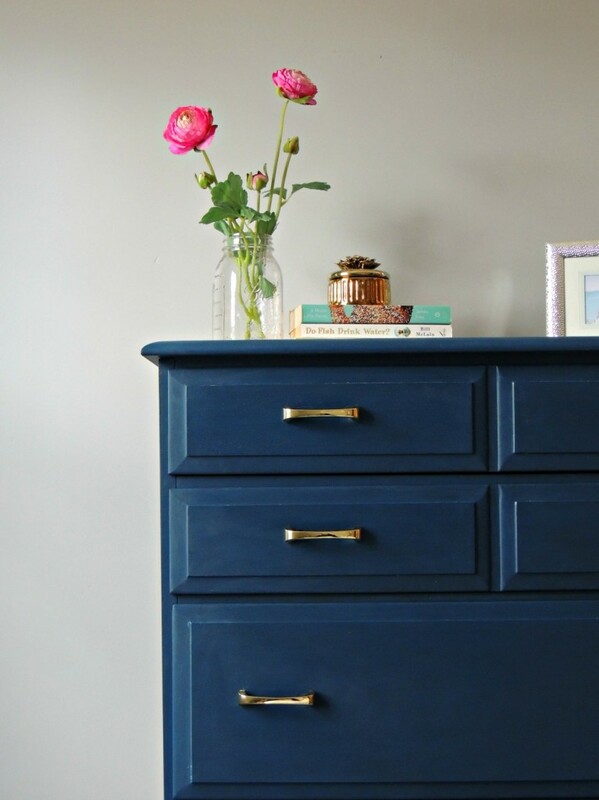 I have already shared several projects that I have done so far using Velvet Finishes including a couple pieces from my daughter’s room revamp project ( I will be sharing the room reveal later on this week). Kellie has been keeping me well supplied in paint and all of the colors to play with and the more I use it, the more impressed I am with how easy it is. For most projects, 2-3 coats (no priming or sanding) and I’m done and the finish is stunning. 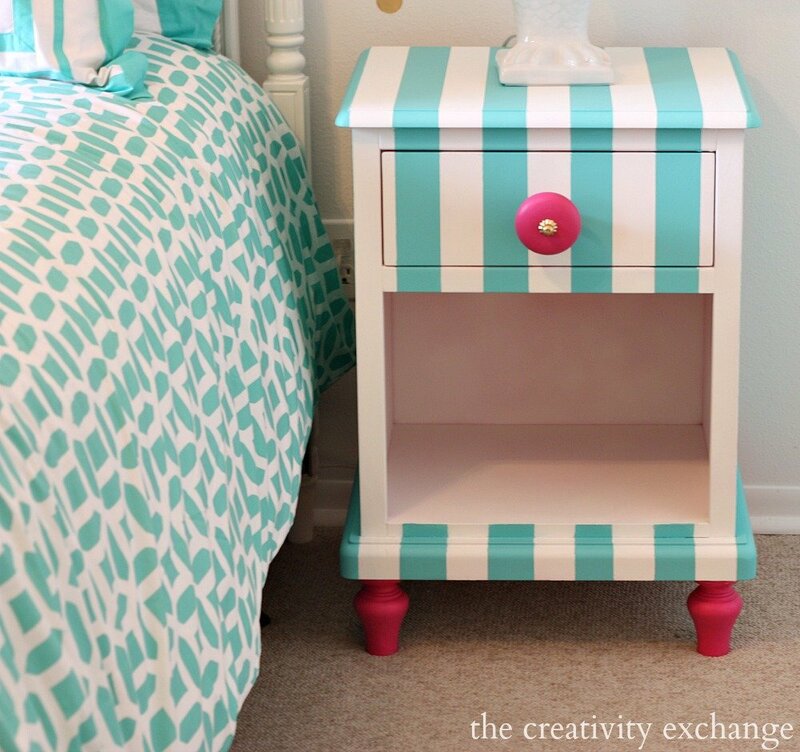 I used Ready on all of my daughter’s Pottery Barn pieces and it was perfect! If the surface doesn’t have a sheen or factory finish, you do not need to prime with Velvet Finishes and I have truly put that to test with my projects. Oh I just LOVE that yellow! Some other common questions that I have received are people asking for more details about the finish itself. 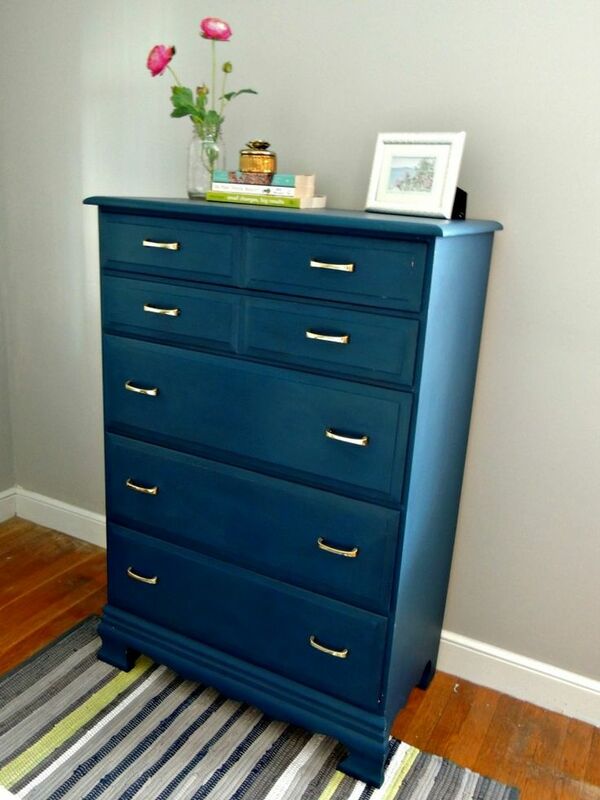 Let me just say this, the paint is not a chalk paint. 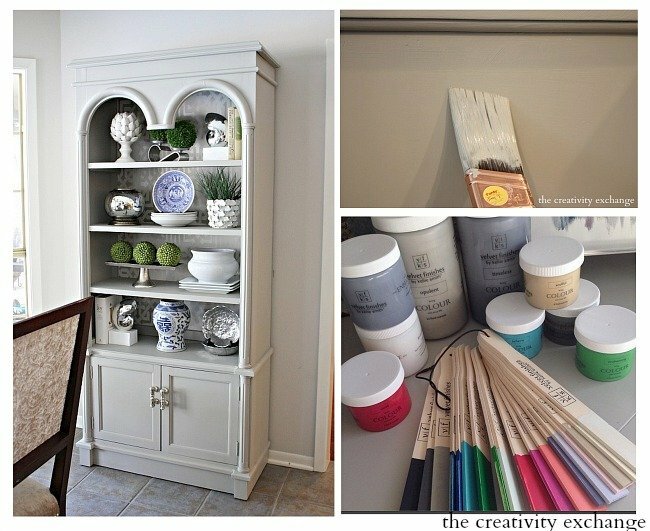 I think there are so many chalky type paints on the market right now that people tend to assume it’s a chalk paint. Velvet Finishes is more of a velvet type finish when you run your hand over it and when it dries, the finish looks like it’s been buffed and waxed over and over. It’s very difficult to describe the finish because it’s really unlike anything that we have seen before. Kellie truly developed something new and amazing and she did it because the paint that she wanted for her design business simply did not exist. If you look at closely at this image again, you can really get a better feel for the finish. It’s the easiest paint I have ever worked with and in two coats (without priming or sanding), you can get a finish that looks like many layers and waxed and buffed. Jenna just did a couple coats of Handsome on this old dresser and it looks like it’s been waxed and buffed. You can check out Jenna’s tutorial (and video) here. Mandie did an incredible job on all of these pieces and I can’t wait to see what she does next with Velvet Finishes!. 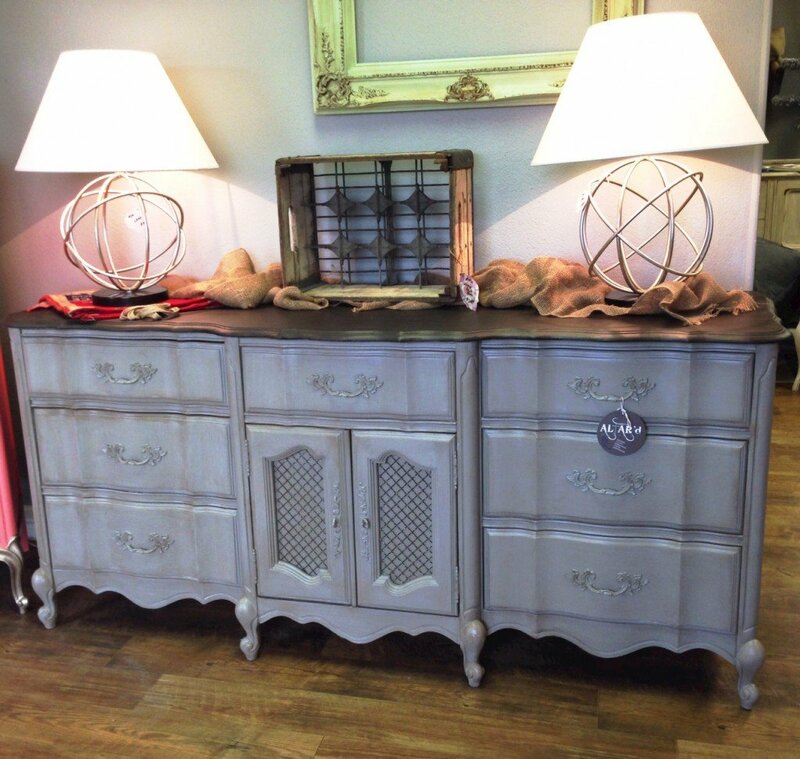 I have followed Mandie for years on Facebook here and the girl is so talented and pops out furniture revamps with the speed of light! One of these days, I’m going to stop in at her Houston shop. Kellie has all kinds of glazes and has recently developed a line of jelly (similar to a glaze but different) that I am getting ready to try on an old wardrobe in my guest room. I can’t wait to catch up on all my projects so I can really roll up my sleeves and try some different techniques with this paint. I’ll keep you guys posted. The paint is only available online on the Velvet Finishes. Kellie is adding new paint retailers everyday. The paint comes in two sizes (8 oz and 32 oz) and you can find out more information about the paint and see the gorgeous color selection on the Velvet Finishes website here. 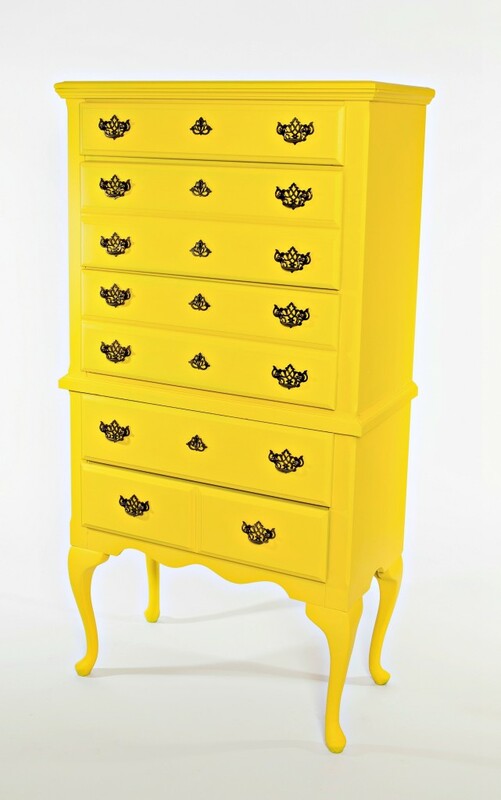 I have fallen in love with this paint and I think it is so exciting that someone actually invented a furniture paint that is not complex and requires layer after layer and buffing. If you do try out the paint, please send me a picture of your finished project! Thanks for stopping by today and I’ll be back later on this week with all of the details and pics from my girl’s room revamp. I live in Millstadt, Il. Where is the closest location to purchase this product. 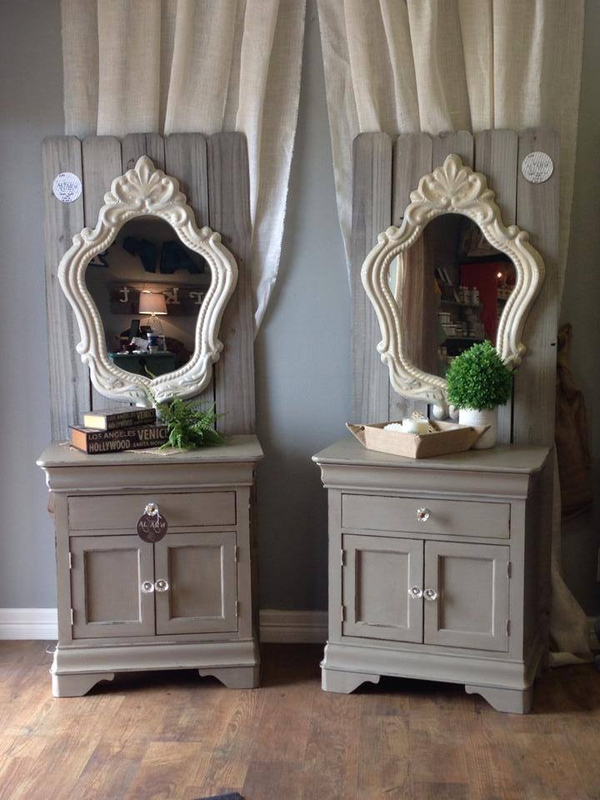 And, how does it compare to Annie Sloan’s products in price? I’m not aware of retailer in Illinois yet Marcia. 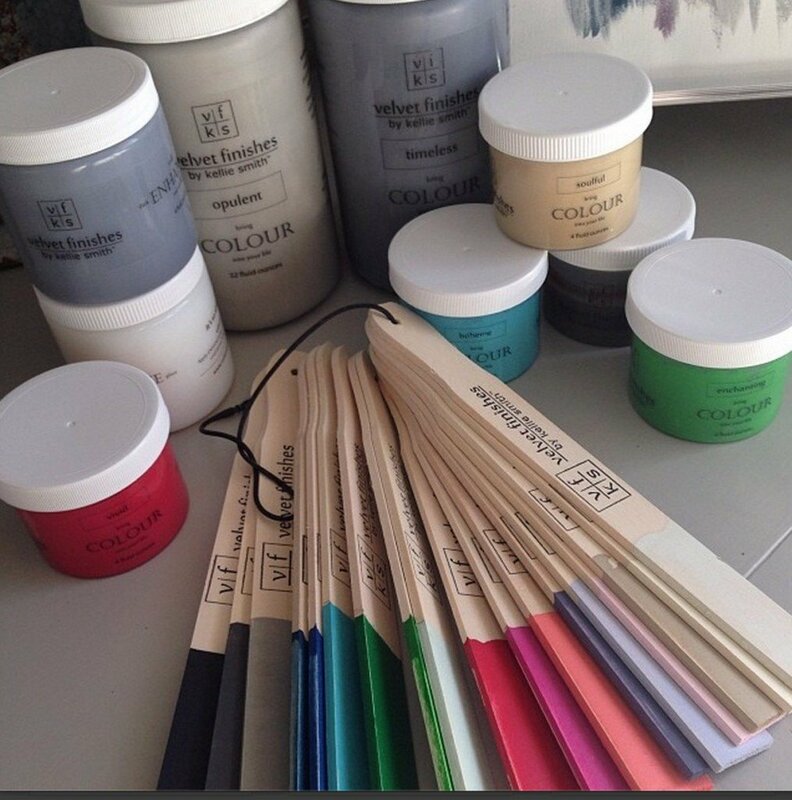 Kellie’s working on adding more retailers but you can order paint directly from the Velvet Finishes website here:http://www.velvetfinishes.com/ You can also see all of the color choices. As far as pricing, the Velvet Finishes costs about the same but I use so much less than ASCP. 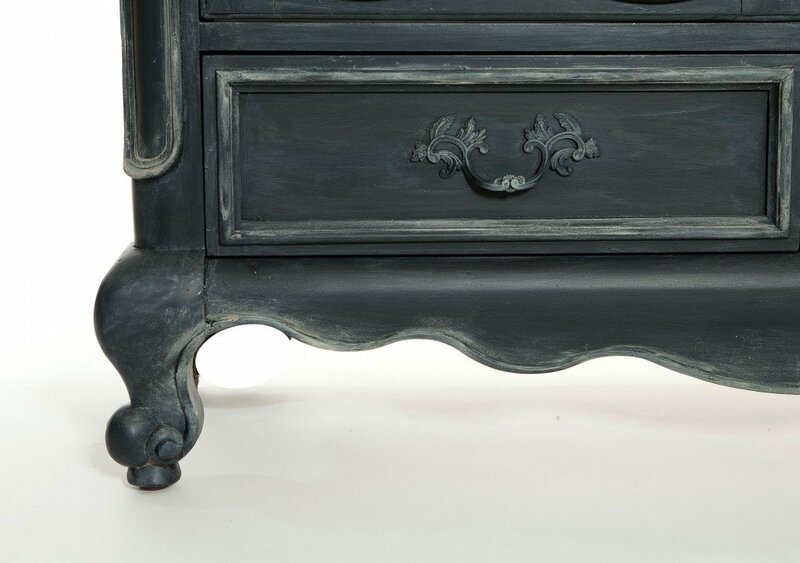 Keep in mind, Velvet Finishes is not a chalk paint and the finish has a higher pigmentation and its more like matte velvet. You can also add water to thin. I have been amazed at how very little I need to cover a piece. I got my sample size to try out on a small end table. I cannot wait to find the time to use it. 🙂 I love your pieces, Cyndy. Thanks so much for showing off my table! I plan to paint a buffet soon, I;ll post pictures on instagram! Its so beautiful and you did such a great job! Thank you so much for letting me share it Maria! We are wanting to paint our kitchen cabinets, do you think this paint will be good for that type of job? Do you think it would stand up to that kind of wear? Thanks in advance ! Yes Vicki, I think this would be an excellent paint for cabinets. 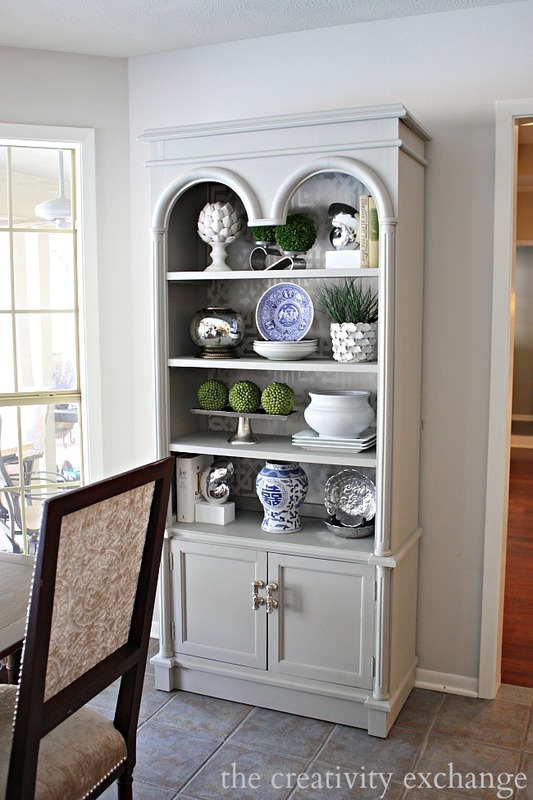 It would be important to add a top coat like Velvet Finishes “Protect” because cabinets are such high traffic. If you’re interested, Kelli from Velvet Finishes can help you figure out how much paint you’ll need. Thanks again for sharing this amazing paint and even more beautiful projects! It’s still on my list of paints to try – I’m just stuck on trying to figure out which beautiful color to choose! 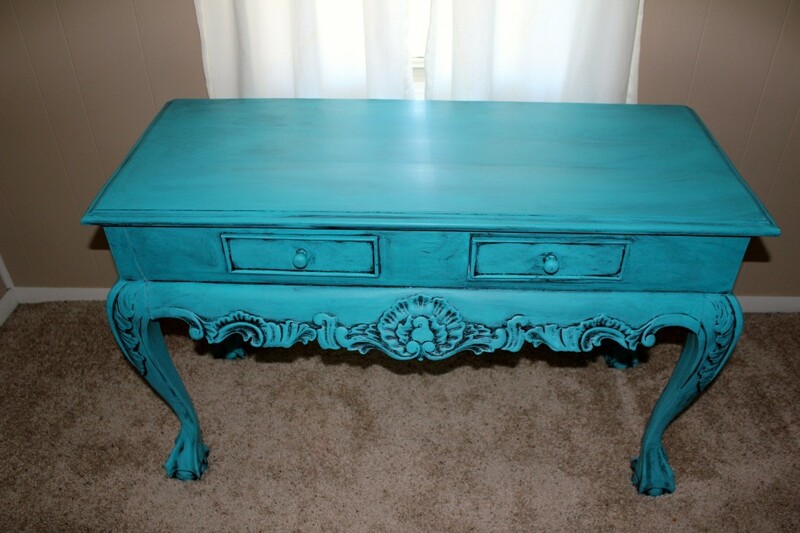 I have a desk that is crying out for new life and this paint would be perfect. I’m dying for you to try it Jenny! You can mix colors too! Thanks girl! The color selection seems great! Do you really not need to use wax? I’ve worked with AS Chalk Paint and that definitely needed the wax I felt like! I’ll have to keep this in mind! All of the pieces look amazing! I’m very interested in trying this paint! The finish sounds divine and I have to say that waxing is the step I really hate with chalk painted pieces so if I can bypass that step and get the waxed look all the better!! I recently bought a solid wood coffee table with a matching end table at a used furniture for a great price of 45.00 for both pieces.The two pieces are fabulous,but the problem is the paint job of a bright peach thats terrible!I figured at the time,I could repaint them to match my taste,but after getting them home I’ve noticed now that the paint over the stain is not sticking and gumming and peeling off and it looks like they’made numerous nail holes all over on purpose.How can I fix this?Stripping would take forever,so what would you suggest?Please help! I am ordering some right now! These are fabulous pieces and I cannot wait to get it. As soon as I do–I am off to the races! The problem is–I can’t decide which of the amazing colors to try as I love them ALL! 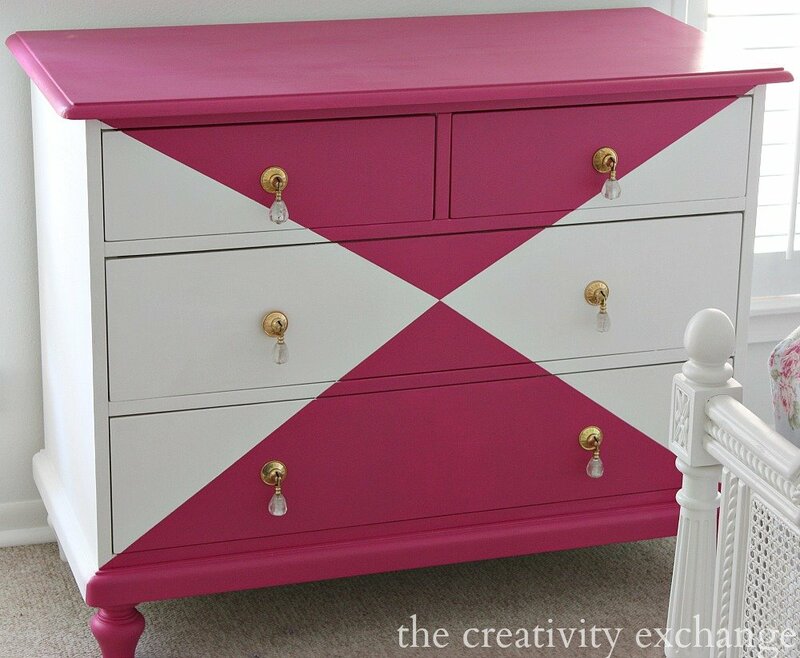 I was wondering if you could share where you purchased the glass drawer pulls you have on the pink and white dresser you painted? I absolutely adore them! Hello! I am new to furniture painting, but I am really looking forward to trying this paint! Can someone please tell me how many pieces does the 32oz bottle usually cover? 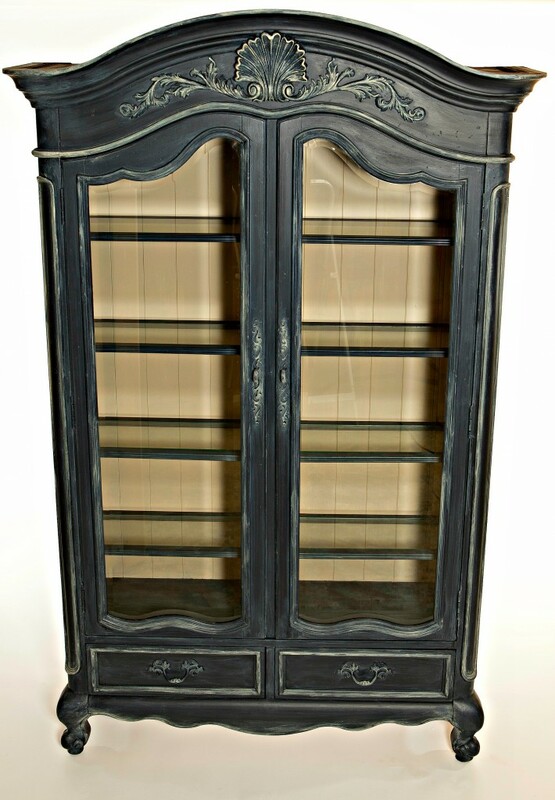 I have just found your site and have been reading about projects painted with Velvet paint. 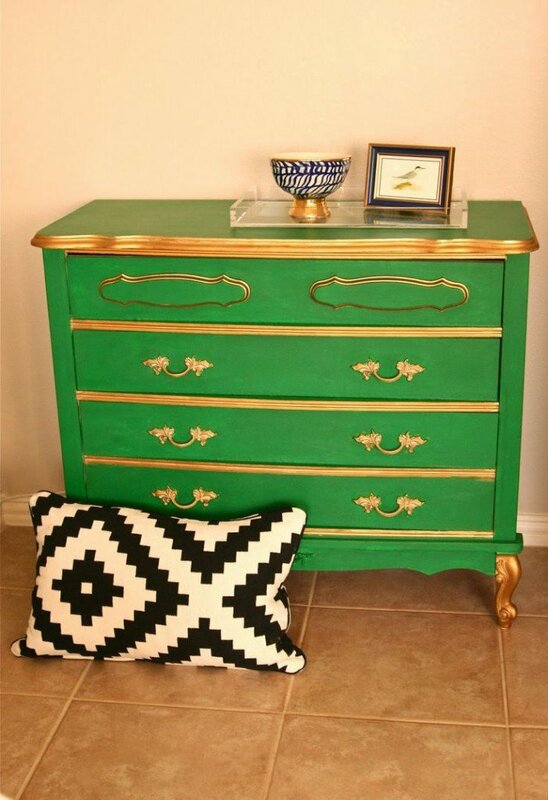 I want the color used by Mandie at Altar’d on a piece of furniture she painted in 2014. The caption says it is opulent with a Velvet glaze. The picture looks like paint is a bluish gray (more blue than my sample of opulent). Do you know if she mixed opulent with another color to achieve this blue hue? Where do u find this paint?